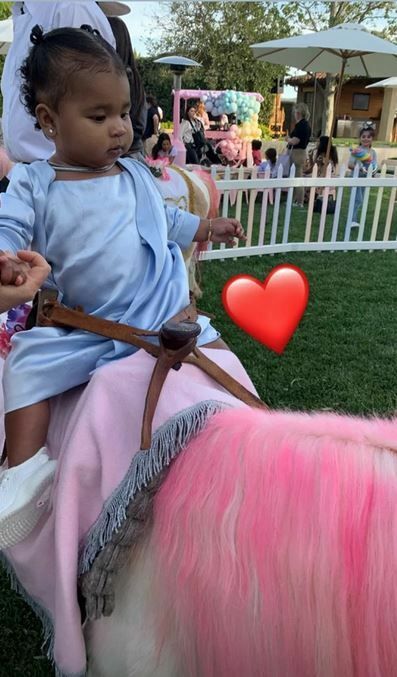 Khloe Kardashian pulled out all the stops for her daughter True Thompson's first birthday that went down yesterday. 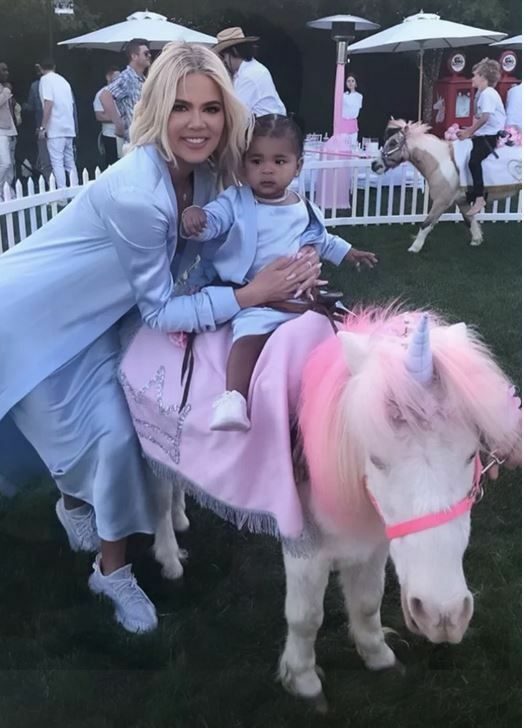 The "Keeping Up With The Kardashians" star threw a rainbow-themed bash for baby True to celebrate her first birthday with family and friends. She put her petty aside and invited True's dad, Tristan Thompson and their first interaction was super cringy. For the first time True's parents have been seen together since the Jordyn Woods cheating scandal broke, Khloe is seen literally ignoring the Cavs baller's existence. In a clip Khloe posted on her IG stories, Khloe is holding True (both wearing matching August Getty Atelier ensembles) while Tristan tries to get True from her so he could snap a pic for social media, but she acts as if he's not even standing right next to her. Oop. Safe to say these two aren't on the best of terms, but they're clearly trying to work on the co-parenting thing. 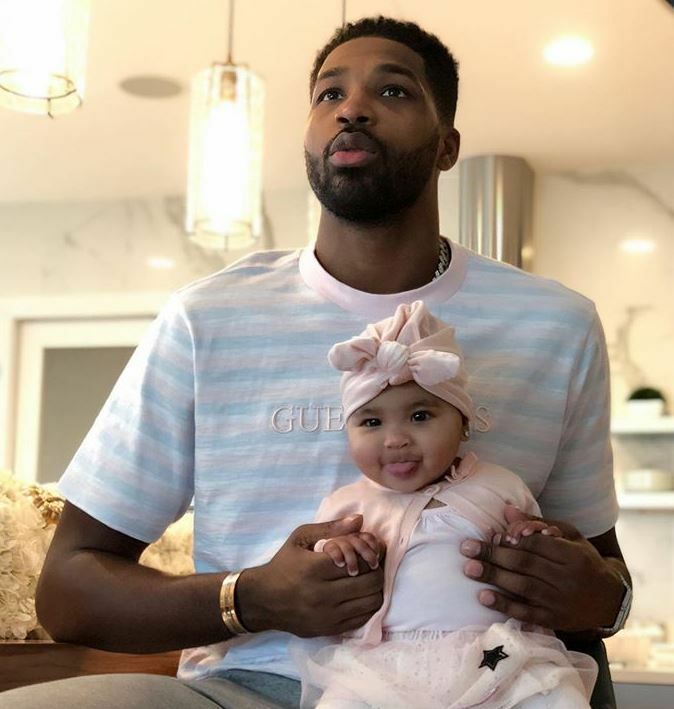 The 28-year-old NBA baller posted a video holding his daughter with the caption, "my princess. I love you soo much." By the way, Nori turns 6 in June. No telling what she'll be wearing. Let's hope she steers clear of dark lipstick and all black (out in public).